August 2013: Colossal Media's Sky High crew at work on the corner of Metropolitan & Driggs in Brooklyn NY. In 2010 filmmakers Faythe Levine and Sam Macon began documenting these dedicated practitioners, their time-honored methods, and their appreciation for quality and craftsmanship. Sign Painters, the first anecdotal history of the craft, features the stories of more than two dozen sign painters working in cities throughout the United States. 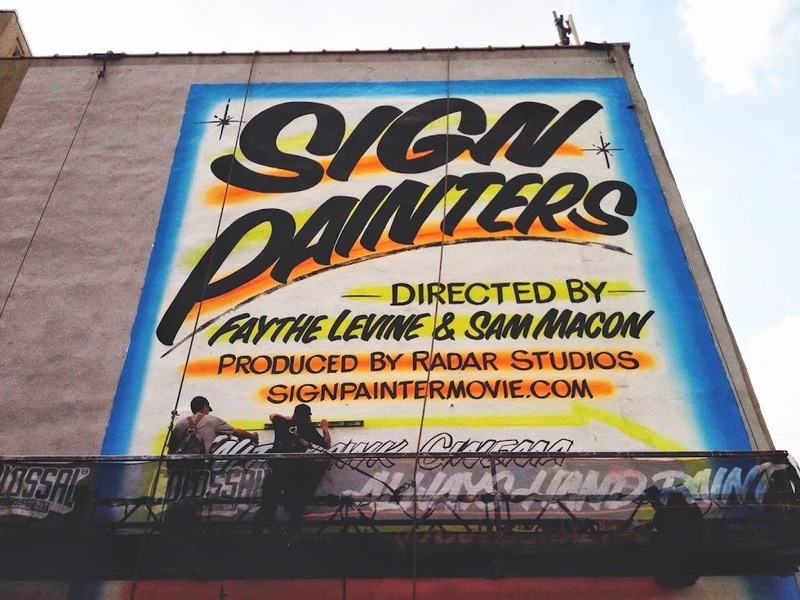 The documentary and book profiles sign painters young and old, from the new vanguard working solo to collaborative shops such as San Francisco’s New Bohemia Signs and New York’s Colossal Media’s Sky High Murals. Sign Painters, the book, was published by Princeton Architectural Press in November 2012 features a foreword by legendary artist (and former sign painter) Ed Ruscha. We encourage you to pick up a copy at your local book store or visit our publisher's site. As of December 2012 we support a third party website called Better Letters. They provide searchable listings for those producing and commissioning hand-crafted lettering. Sign painters and lettering artists around the world can be browsed by geography and discipline, with the listings managed directly by the businesses themselves. Contact information, sample work and links to home pages and social media presences are provided, making it easy to get in touch. The site also hosts an events section featuring workshops, exhibitions, film screenings and lectures around the world. If you previously had your website listed with us you will need to enter your business information with Better Letters for future reference. Thank you! Substantial support for this project has been provided from the 2011 Center of Craft, Creativity and Design Craft Research Grant along with a 2012 Mary L. Nohl established artist fellowship awarded to Faythe Levine. 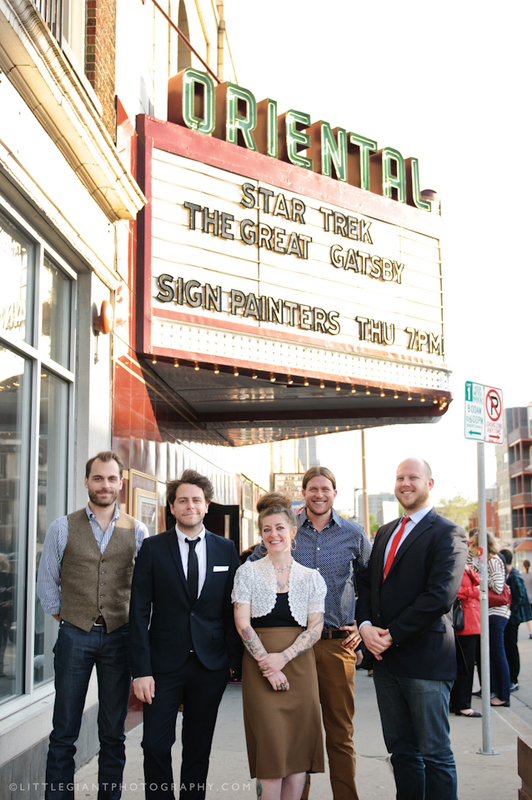 All content on this site [unless otherwise noted] is property of The Sign Painter Documentary, please get permission before reposting any content.